A B&B is only for people with the fortitude to tolerate the public's idiosyncrasies and a willingness to work long hours. Buying a B&B can be an extremely rewarding undertaking, but it comes with its challenges. With all manner of people coming and going at all hours of the day and weekends as well as weekdays, it's hard to think of a more time-consuming business. But it can be an immensely satisfying vocation. Just as we're hardwired to take pride in our home and strive always to improve it, a business serving as your customer's lodging for a number of days is something B&B owners can take great pleasure in maintaining. Contemporary decor, relaxing furnishings, scrupulous cleanliness, a comfortable bed, abundant cupboard space, a tasty breakfast - these are some of the features guests appreciate. But providing these elements will be constrained by cost considerations. Changing the decor regularly to keep pace with contemporary taste costs money; the more comfortable the bed, the larger the outlay; quality breakfast means quality, and obviously more expensive, ingredients. Most people will say that making a profit is the most important part of running a business and some may say it's the only objective. In order to make a profit, you must raise revenues or lower expenses, or both. As a business owner you need to be aware of what's going on financially at all times. "You could renovate and furnish to a higher standard, raise prices and compete in a different, perhaps poorly serviced price segment"
This is where market research comes into the equation. If you're based in a business district then standards will be higher than if you're located in a low-income area, for example. Choosing the right location for your B&B is extremely important. The location will depend on the needs of your business and your clientele alongside where your competitors are, taxes, zoning restrictions and environmental restrictions. The standard and price of your offering will not be solely down to location though; there are different price bands in any area. Perhaps a B&B for sale offers accommodation in a saturated budget price bracket, and as such revenues are low and the business is going cheap. You could renovate and furnish to a higher standard, raise prices and compete in a different, perhaps poorly serviced price segment. Ensure you do plenty of research on the local market to corroborate any supposition along these lines. It's strategic decision-making like this that makes this sector so thrilling. Let's say a frequent customer complaint is that the building is noisy - do you pay for insulation, which is expensive, or do you allow the complaints to persist and potentially sully your name on the all-important review websites? It's stating the obvious to say that the more capital you go into business with, the better chance you're giving yourself of succeeding. This is arguably particularly true of B&Bs. If you have a decent fund to draw on to refurnish and upgrade facilities then you can boost your sales - or maintain prices to give yourself an edge in your current price tier. Furthermore, you can hire more staff to clean more frequently and provide a better service. 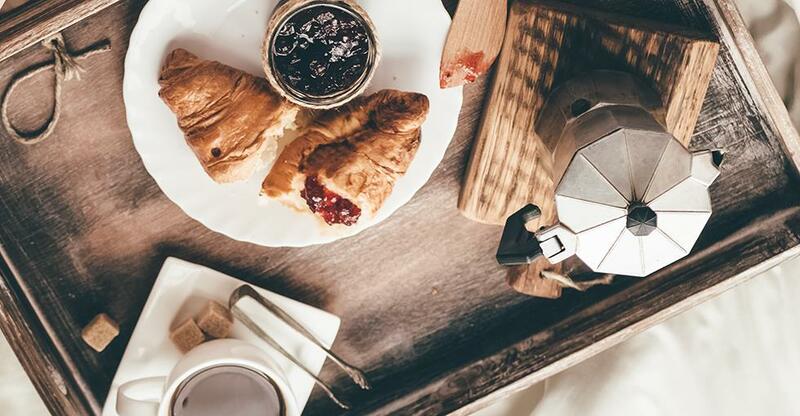 If poor service from a retailer is irksome, poor service in a B&B is positively exasperating because it's effectively functioning as the customer's home, albeit for a brief period. And if you can afford to hire a manager to give you the odd day off and generally alleviate your burden, then it counts for a lot in a trade where you have to be open 24 hours a day, seven days a week. That said, if trade is heavily seasonal it may be wise to close in the off-season, which will give you a prolonged break - assuming takings are enough to sustain you when you're closed and no profits are being generated. So if you do close for part of the year then you should endeavour to put aside some of the income generated during peak months. Working long hours in a business when a wide range of problems pile up with no particular pattern, it's also helpful to have a background in the hospitality trade. If you've hitherto only worked in offices, clocking off at 5.30pm each day and having your weekends free, it could be a rude awakening. Be aware of what you're letting yourself in for. It's fantastic to avoid the long commute and work and live on the same premises, but the flip side of this is that separating your personal home life and work environment becomes nigh on impossible. Considered lifestyle businesses, B&Bs are often husband and wife operations. Suffice to say, there are obvious dangers that come with working and living with the same person, day in, day out. However, you have an endless stream of new people to engage with every day, which nullifies the potential for marital conflict significantly.